GIVES YOU VICTORY TO KEEP STANDING TALL"
"Inspiring your Mind, Uplifting your Spirit!" 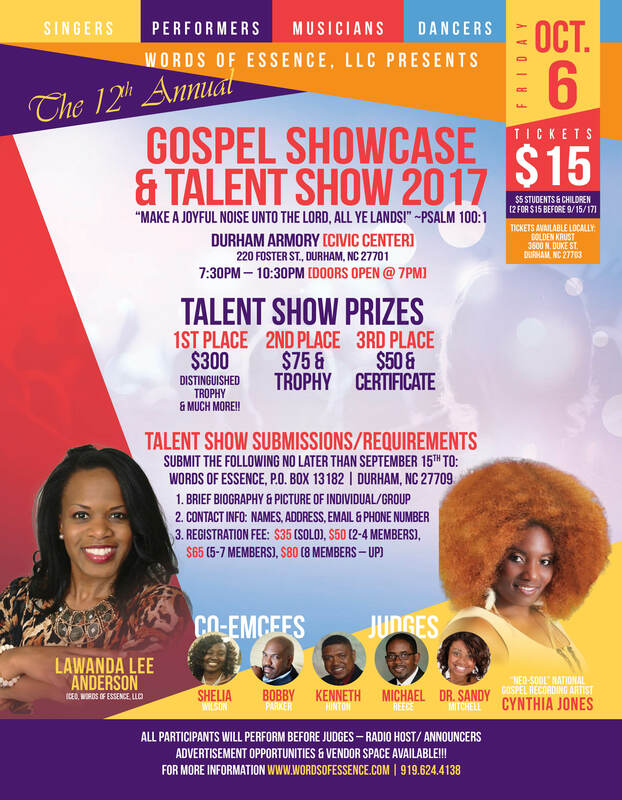 "GOSPEL SHOWCASE & TALENT SHOW"
Click BELOW to Purchase SPECIAL "BIRTHDAY TICKETS"
(Do you have an Awesome God-given Talent/Gift that you want to Showcase to the World? Well, Register TODAY and perform before our Professional Judges (w/ Media Experience) for a Chance to win Cash prizes, Trophies & MORE)! 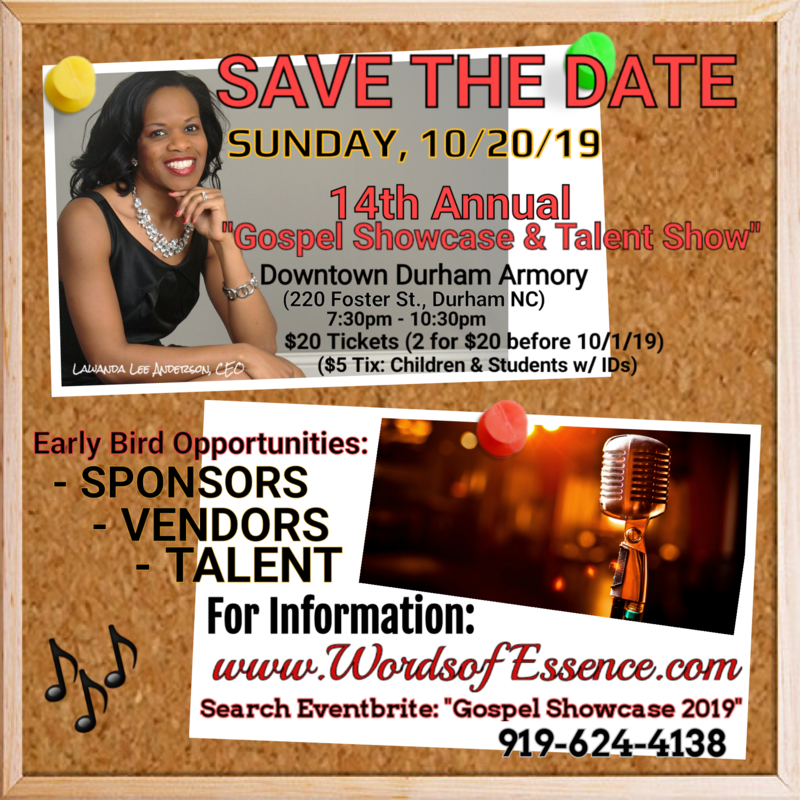 "GOSPEL SHOWCASE & TALENT SHOW 2018"
* Words of Essence donated $100 to the Samaritan Inn (Women's Shelter) from this year's Gospel Showcase & Talent Show. 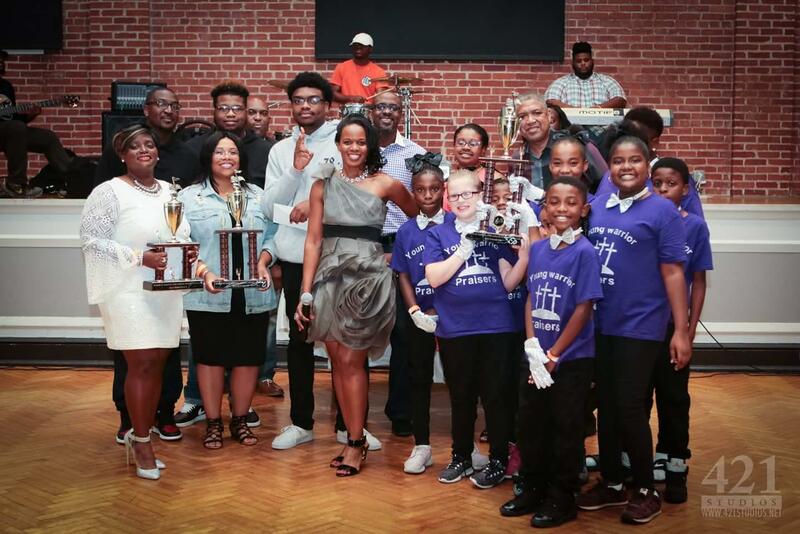 "GOSPEL SHOWCASE & TALENT SHOW 2017"
(Women's Shelter) from this year's Gospel Showcase & Talent Show. 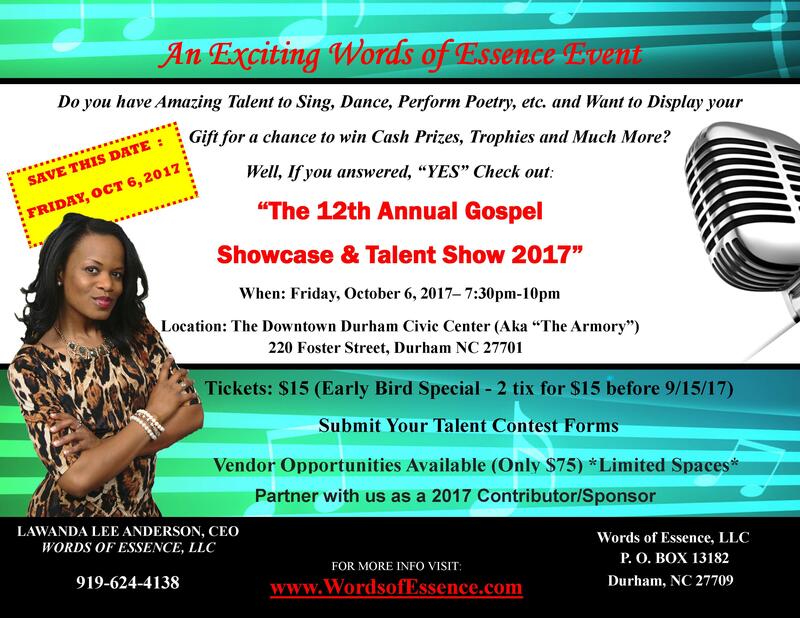 TAKE THE GOSPEL SHOWCASE HOME WITH YOU TODAY!! Nomination - "2016 Women of the Year"